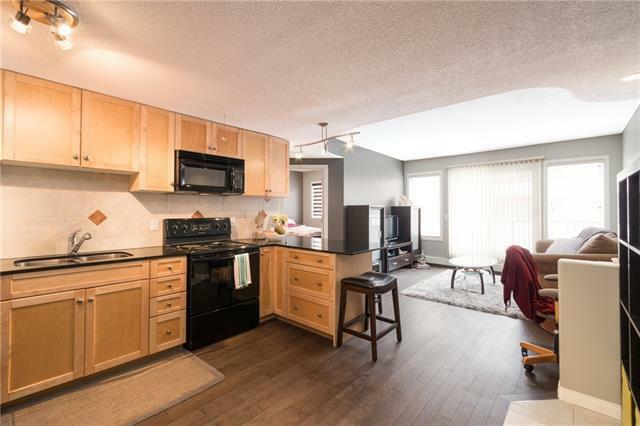 This small but mighty apartment is in a great location in Calgary, AB in the SW community of Bankview. 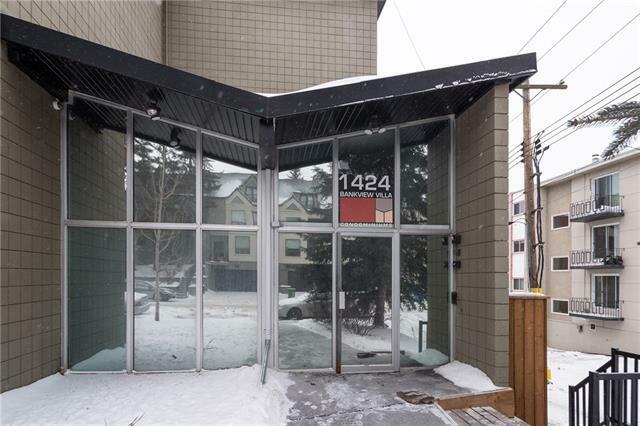 With 1 BED & 1 BATH at 580 SqFT, every aspect of this space is carefully thought out.Walking in, you are greeted with the open concept layout and enter the gorgeous kitchen with maple cabinetry, granite countertops, & matching black appliances.Tons of natural light from the large patio door in the cozy living room, plus a convenient build-in desk connecting the living & dining areas make this a well planned living space. The MSTR BED is spacious with enough room for a king bed & features a custom closet, plus a large window for lots of natural light. 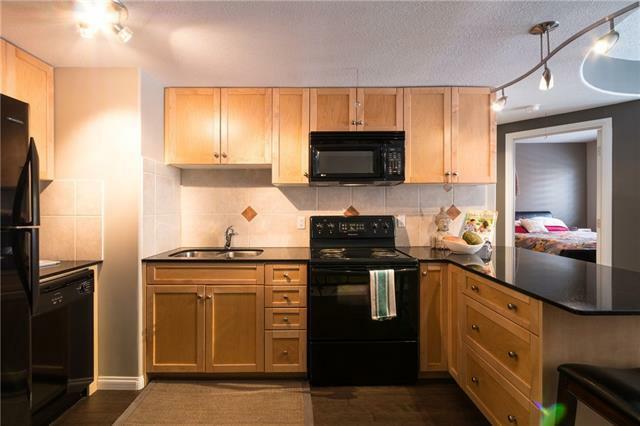 The BATH includes a tub/shower, great lighting & features an in-unit washer/dryer. 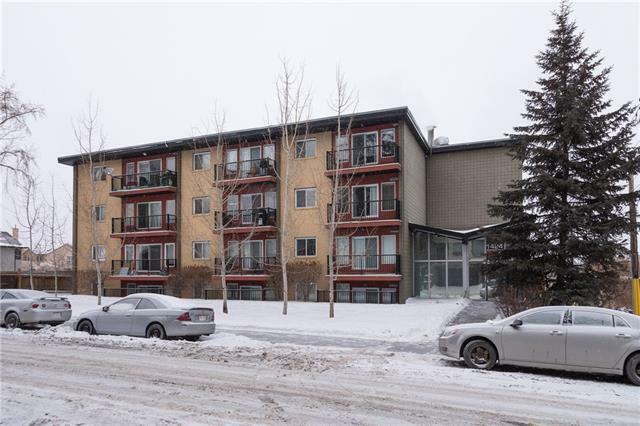 With assigned parking, a view of the city, as well as being located 5 minutes from 17th Ave, 15 from Mount Royal University and downtown Calgary, this complex is in a great location. See additional remarks for information about recent renovations & the community of Bankview.